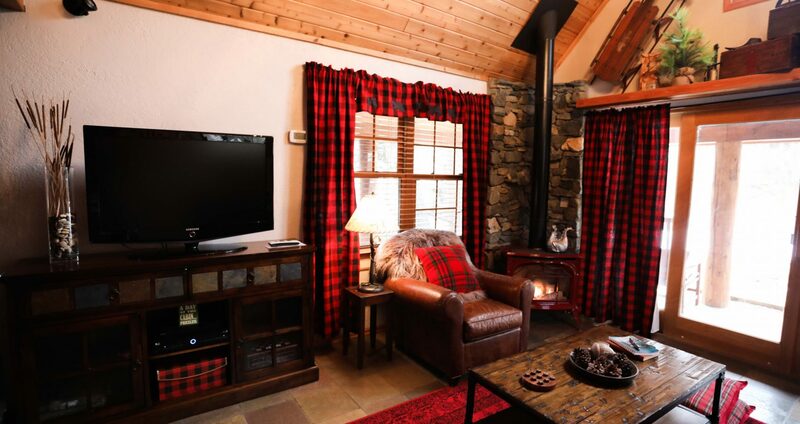 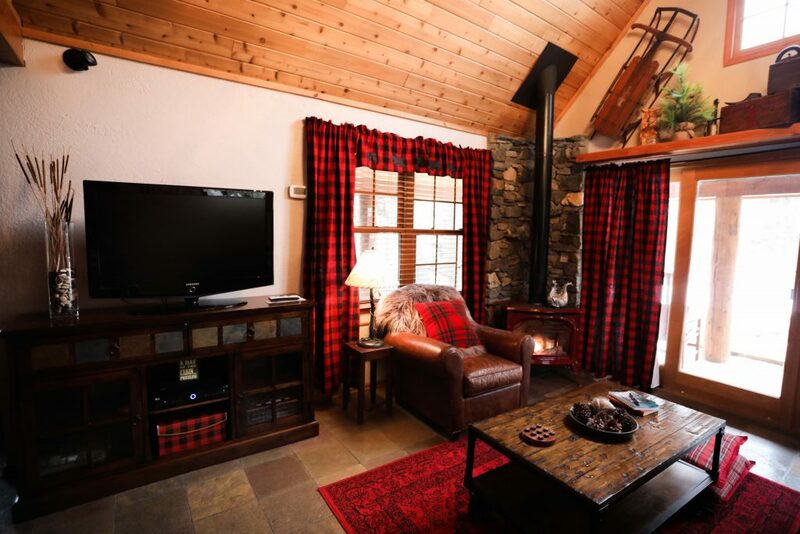 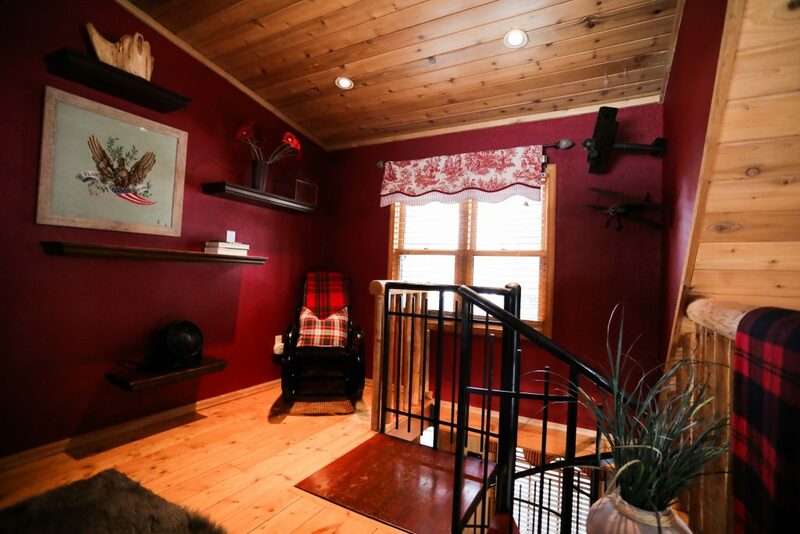 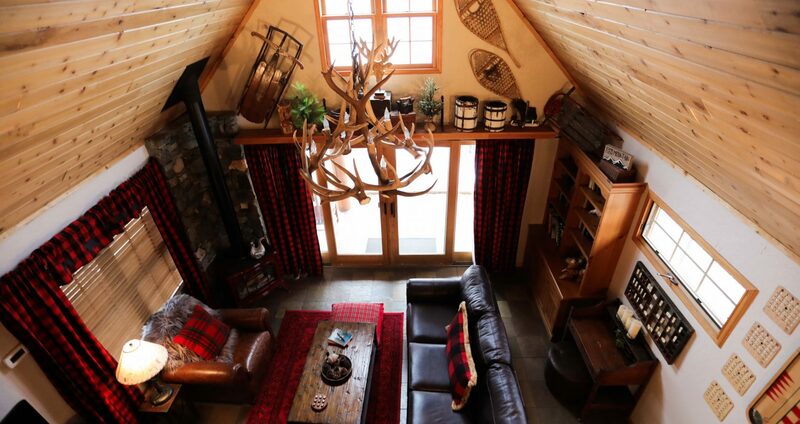 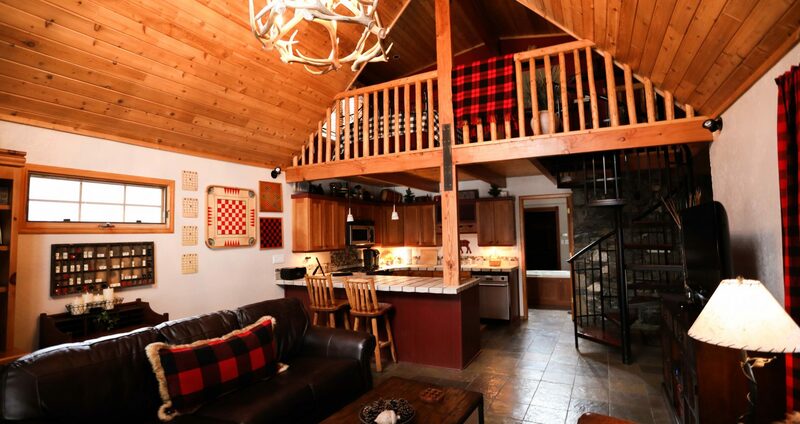 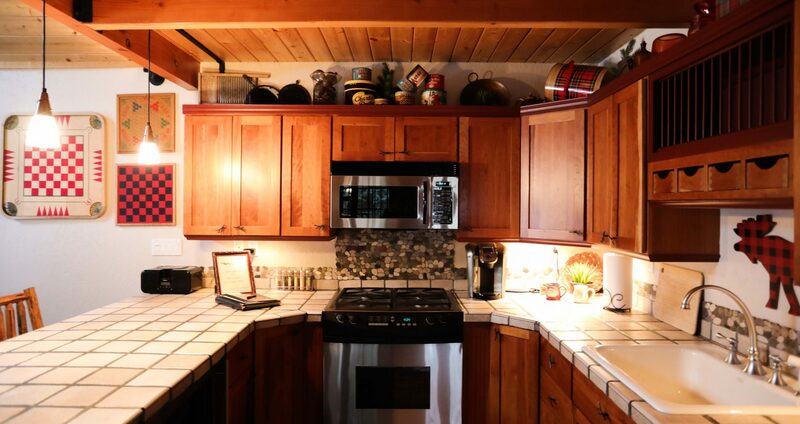 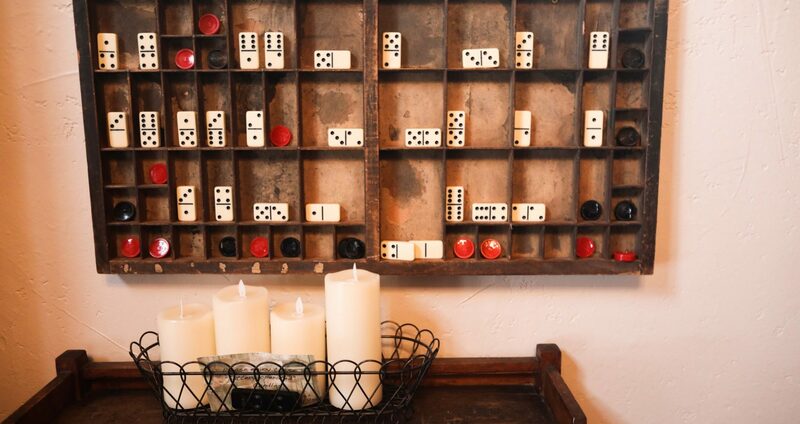 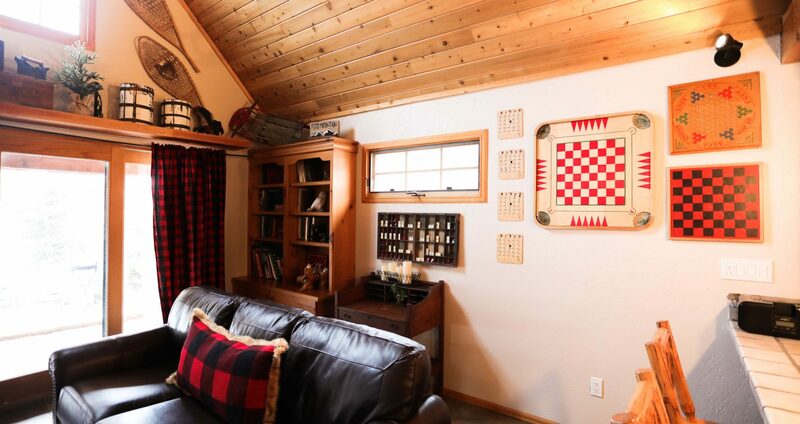 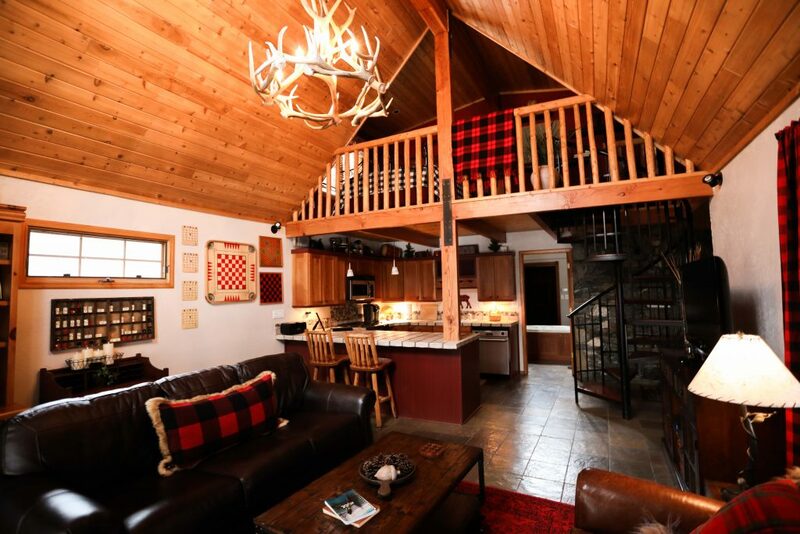 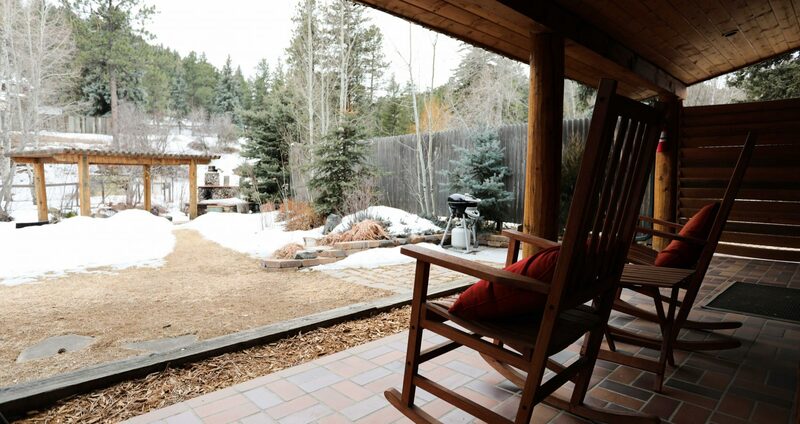 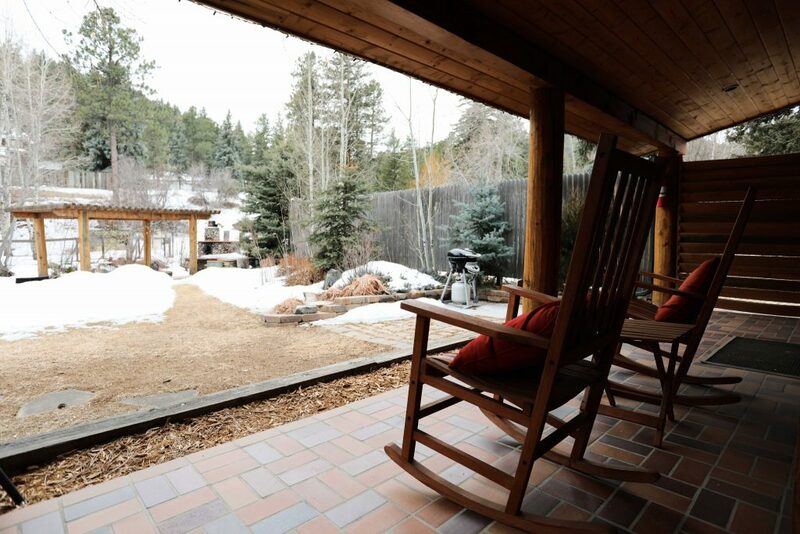 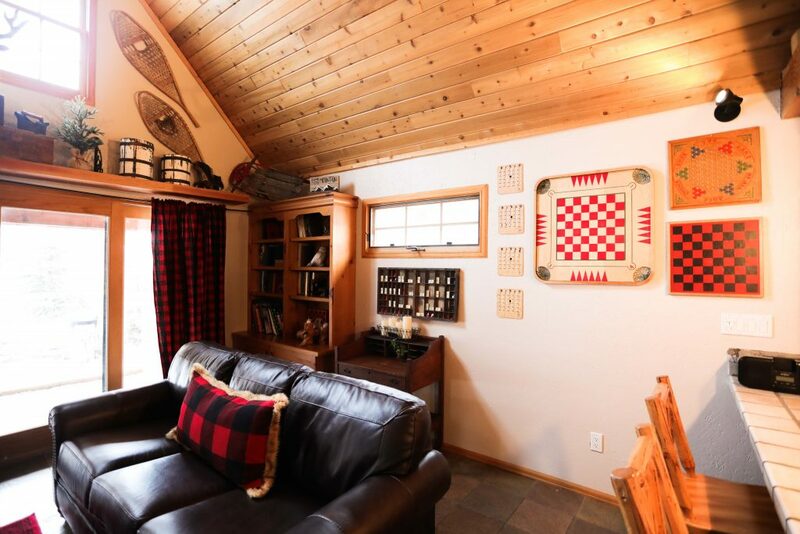 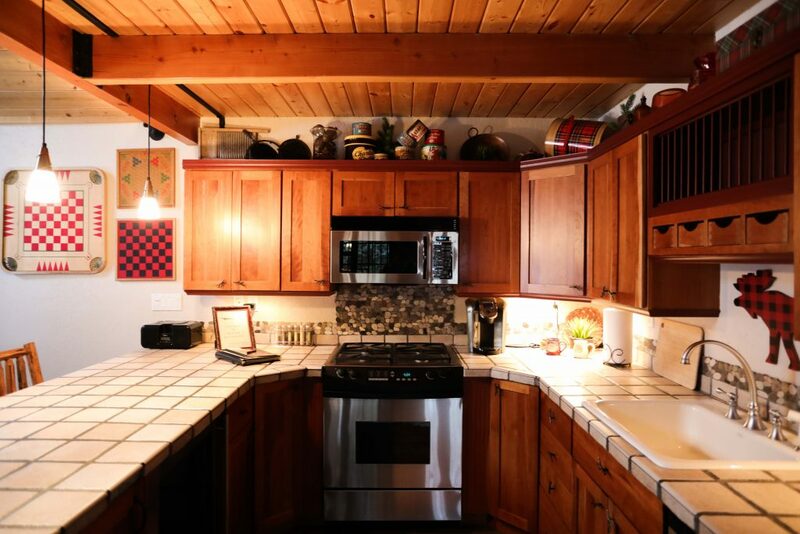 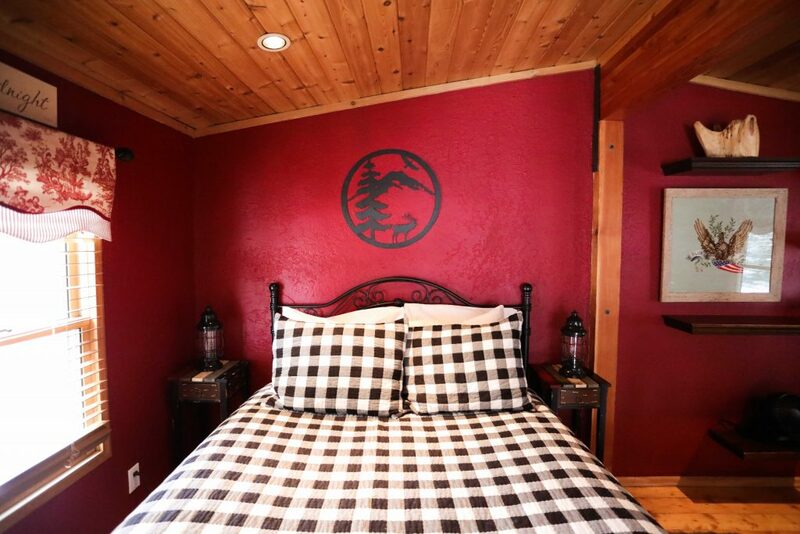 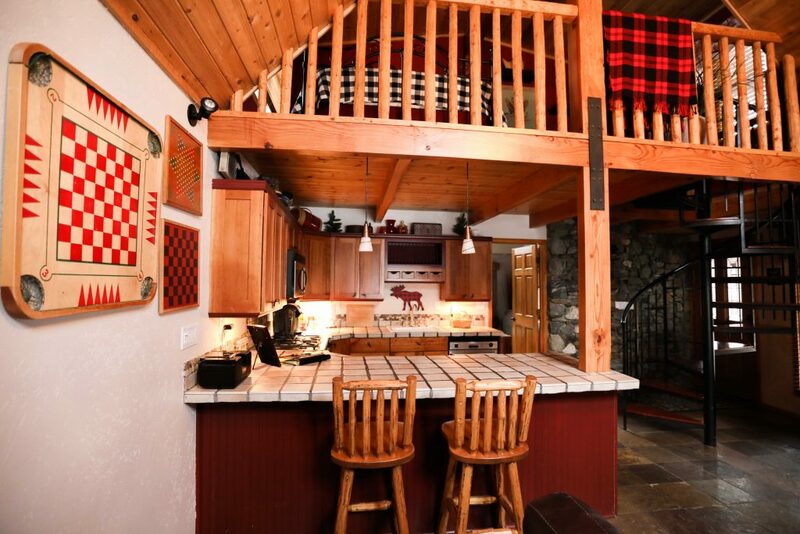 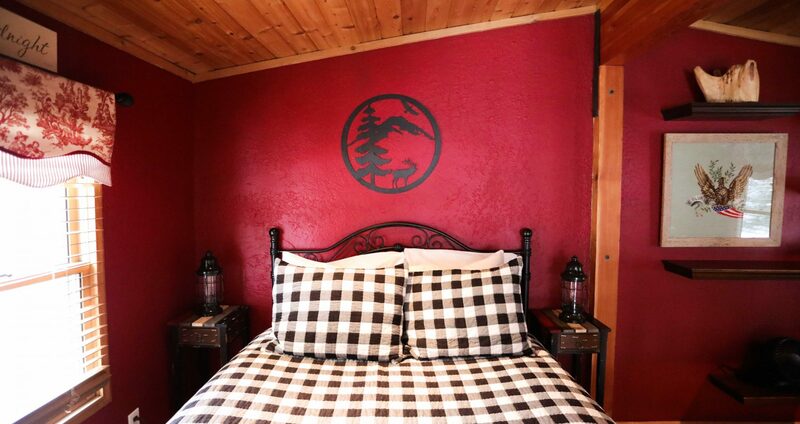 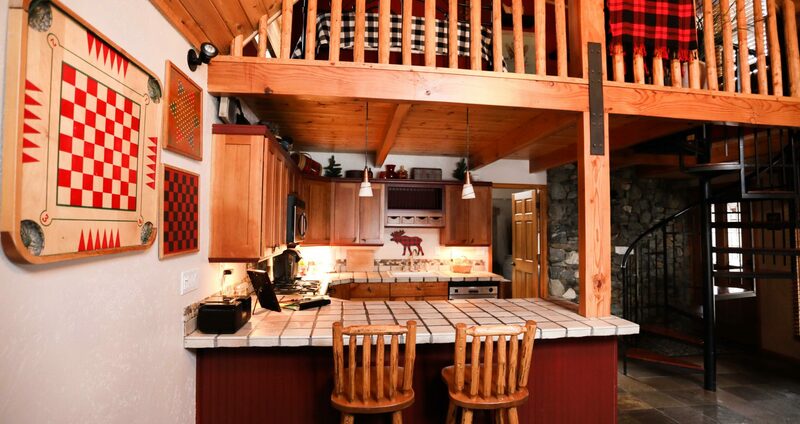 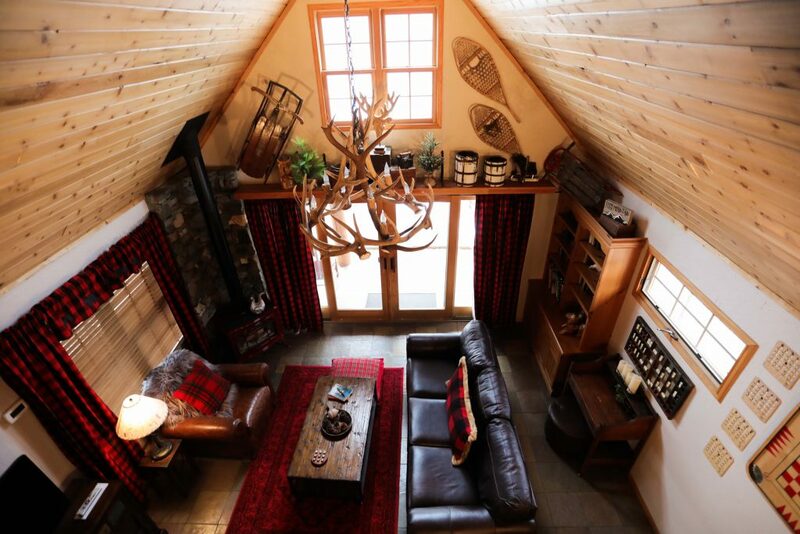 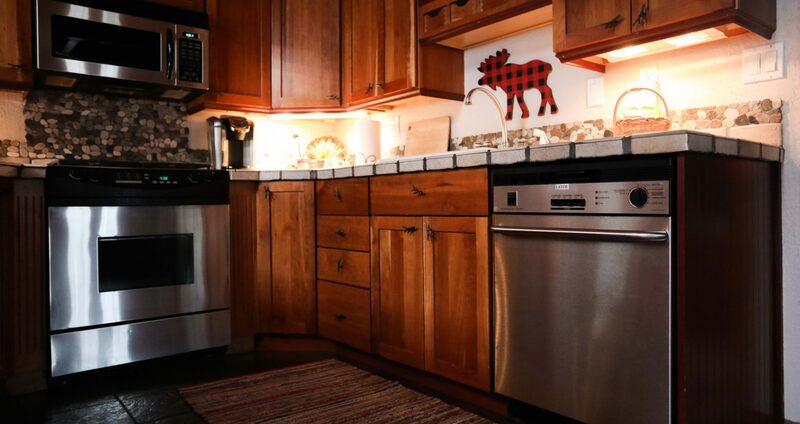 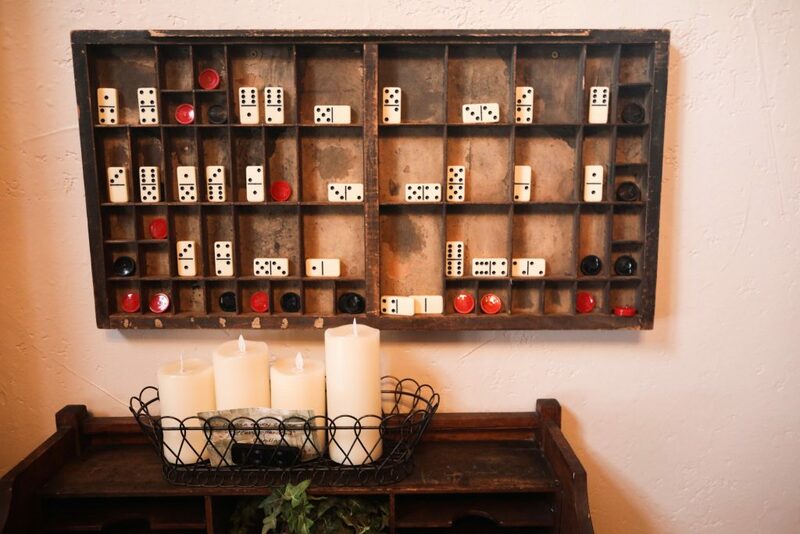 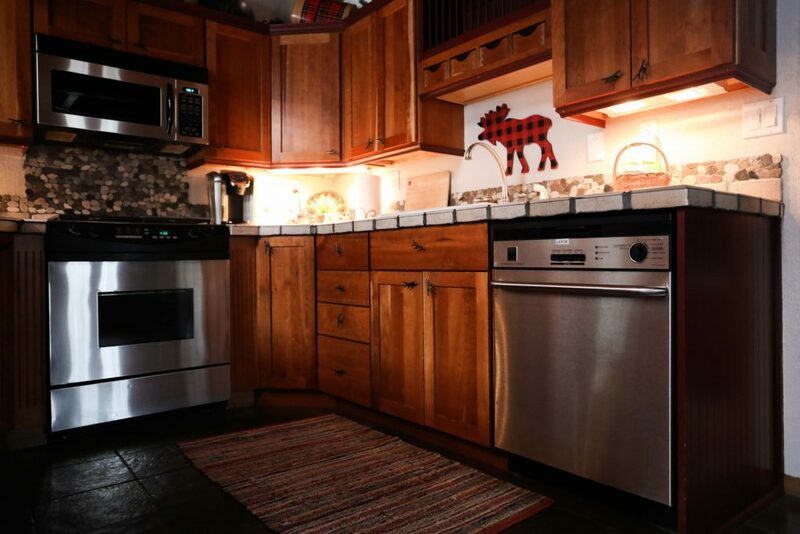 The charm of this cabin is designed to bring out only the best of Bear Creek and its beautiful surroundings. 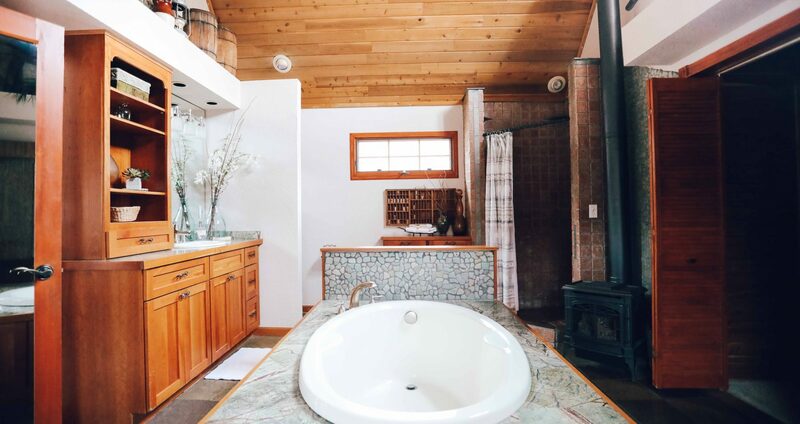 Equipped with an open loft bedroom, a spa-inspired spacious bath that’s perfect for a soak after a long day of exploring, and a fully fitted kitchen to for when you’re ready to indulge in some food. 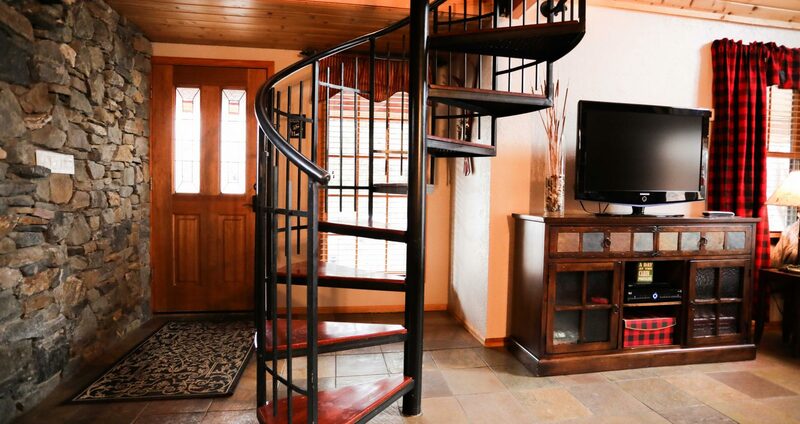 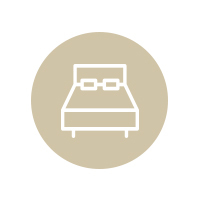 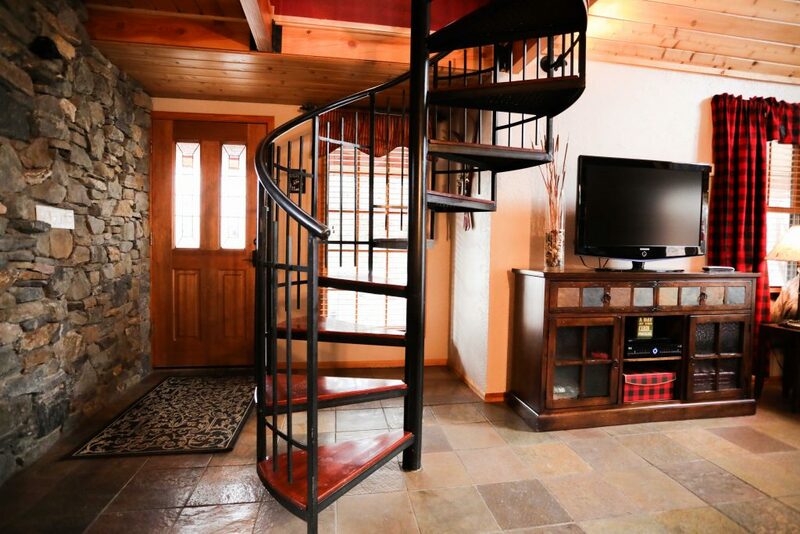 The charming open loft bedroom has a stunning wrought iron queen bed, wood floors, pillow-top mattress, and a spiral staircase that leads to its coziness. 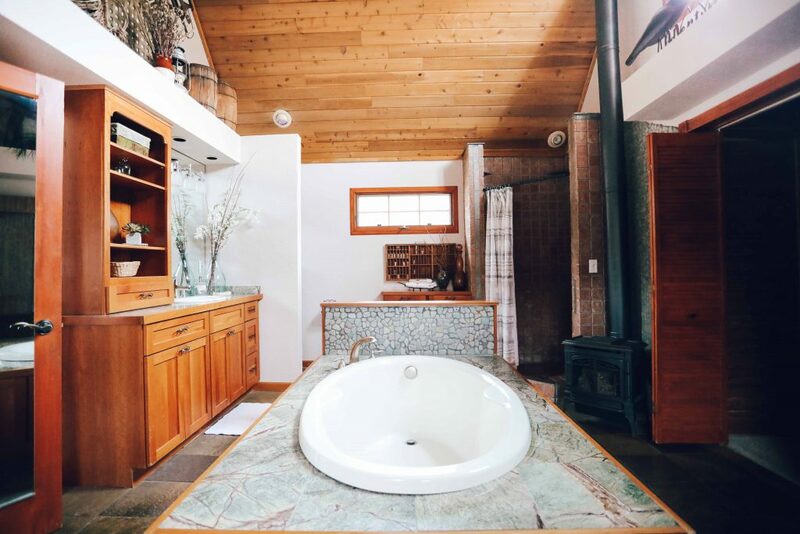 Enjoy out spa-inspired spacious bath for your soaking needs, a walk-in separate shower, stone floors, granite vanities, tranquil-water feature, vaulted cedar ceiling, gas fireplace. 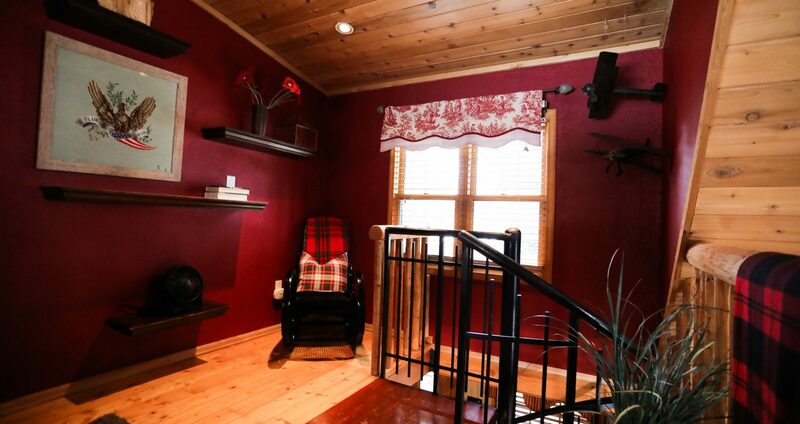 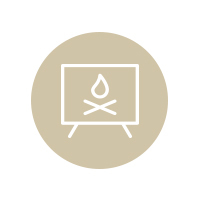 Vaulted cedar ceilings, stone floors, gas fireplace, natural black granite stone walls, wrap around porch with rocking chairs, fully equipped kitchen galley, flat screen TV and antler chandelier full the main living room and kitchen.